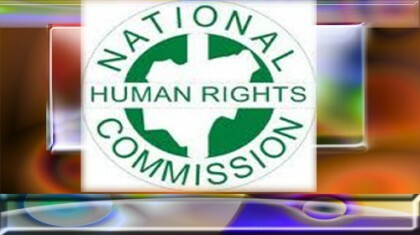 The National Human Rights Commission (NHRC) has commenced public hearing into cases of alleged human right violations against the Nigerian Police Special Anti-Robbery Squad (SARS) in the FCT. The Acting Executive Secretary of the Commission Mrs Oti Ovrawah revealed that the idea of the public hearing was conceived from numerous complaints received by the Commission on the activities of the Police (SARS). She said the complaints bothered basically on human rights violations like torture, threat to life, access to justice, inhuman and degrading treatment among other things. Mrs ovrawah emphasized that in fulfilling its statutory mandate of promotion, protection and enforcement of human rights in Nigeria, and in line with its standing order and rules of procedure, holding a public hearing on such complaints became necessary in order to adequately address the human rights concerns. Mrs. Ovrawah further stated that the hearing will provide opportunity to underscore some challenges faced by SARS in carrying out its specialized duties as well as proffer possible methods of compliance with international best practices to ensure efficient service delivery by the Squad. Continuing she said one of the objectives of the hearing is to bring before the authorities some complaints against SARS and to hear from the police so as to arrive at a fair determination of the issues of concern in line with the human rights norm of fair hearing. According to her, the Commission recognizes the unique role of SARS in addressing criminalities like robbery, kidnapping and other severe crimes in the country. She added that the Commission intends to assist government in its bid to reorganize and improve the squad to effectively and continually mainstream human rights into its operations. “This will build trust between members of the community and SARS, and in turn assist in encouraging voluntary information which could be useful for investigation and enhanced operations”. The Chairman, National Committee against torture, who is also the Chairman of the Panel, Dr. Samson Sani Ameh (SAN) said the public hearing would provide an opportunity to hear from all parties involved in the cases before panel. He urged the parties to feel free in speaking their minds as this would in no small measure assist the Panel in unravelling the truth. The alternate Chair of the NBA Committee on Human Rights Barr. Maxwell Okparah who is also a member of the panel said although there may be infractions and some form of human rights violations perpetrated by SARS, scrapping it may not be in the best interest of the country. He advocated for a proper reorganization of the system so that they may effectively serve the purpose for which they are created. Speaking on the Mandate of SARS, Assistant Commissioner of Police (CID), FCT Command, Nura Yakubu said that SARS was not created for brutality as popularly conceived by the public but created to curb criminality through intelligence. Tony Ojukwu Esq another member of the panel and the Director monitoring department of the NHRC said capacity building is key for the nature of work that is cut out for SARS as this would enhance effective service delivery, adding that similar exercise would take place across the country.